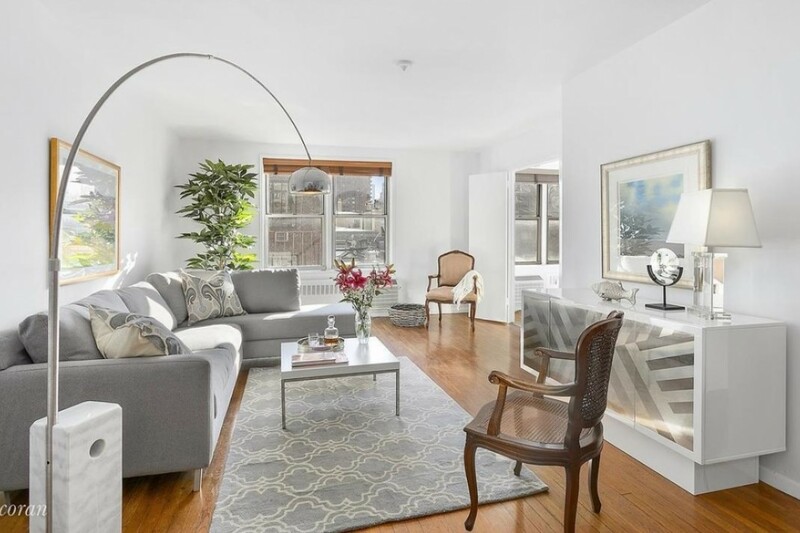 This Carnegie Hill one bedroom has a renovated kitchen, new windows, and hardwood floors, and is located in an elevator building that allows sublets after two years. So you've had it with roommates and rentals, and you've finally saved up enough for a down payment and are ready to buy your first apartment! Congrats! Also congrats on timing the market: There's a serious slowdown in effect in NYC, and buyers have the upper hand. 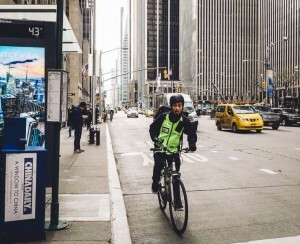 You can find some breaks on price, for example: The median sales price for a studio co-op in Manhattan was $435,000 in the first quarter of 2019, a drop of 3.33 percent from the first quarter last year, according to Douglas Elliman's market report. Manhattan one-bedroom co-ops were $699,000 in the first quarter, a drop of 5 percent from the year-ago period. In this week’s Buy Curious, Andrew Sacks of Citi Habitats, Nicole Manners of BOND New York, and Asease Korankyi of Mirador Real Estate guide you through the process, telling you where to look, what types of properties to avoid, and how long you’ll need to stay in order to make a profit. I’m tired of renting. I really want to buy a place. But I have no idea where to even begin. What makes a good starter apartment? A starter apartment is of course not meant to be someone’s ‘forever’ home. "It’s a launching pad that will be upgraded as major life events unfold for the owner—a job promotion, starting a family," Sacks says. Starter apartments are typically studios, alcove studios, or one bedrooms. They often have small layouts, small kitchens, and simple appliances. “These features make properties more affordable for first-time buyers,” who are often young and single, Manners says. But of course, the building type and amenities will vary based upon each individual buyer’s budget. What makes a good starter apartment in NYC? 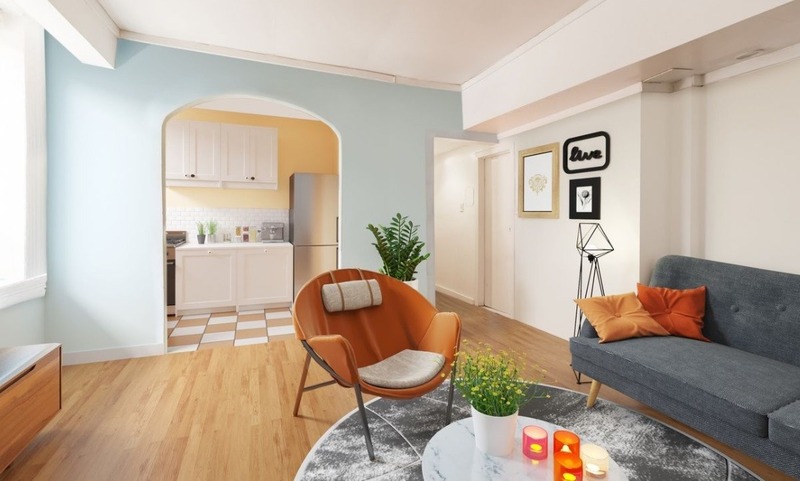 Since they’re usually purchased by young, budget-conscious folks, starter apartments are all about “affordability and untapped potential,” Sacks says, explaining that apartments with low carrying costs or places that need minor fixes—such as new kitchen appliances or cabinets or floors that need refinishing—make for a good starter apartment. Korankyi adds that a building’s subletting policy is also an important consideration. When an owner outgrows his starter apartment, he or she might want to sublet it and use it as an additional source of income down the road rather than sell it. For Manners, it’s important that a starter home meet basic needs, such an a clean and quiet place, proper cooling and heating systems, a well-maintained building, closet space, and laundry facilities. “Once basic needs are satisfied, budget permitting, one can then look for additional amenities such as space, light, choice views, or a balcony,” she says. 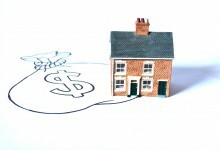 She also thinks that first-time buyers need to keep upfront costs in mind at all times. Who buys a starter apartment? 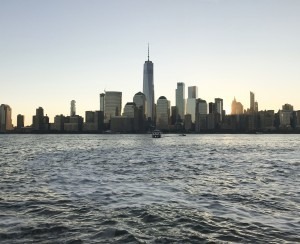 That said, many people in New York City simply “don’t have the resources to make the leap to homeownership,” he says, noting that approximately 65 percent of NYC residents across the five boroughs rent their homes—among the highest percentages in the country. After all, buyers have to be financially secure and hold considerable savings in order to purchase a home—not to mention be able to pass the scrutiny of a co-op board—if applicable. Manners adds that folks who don’t know what neighborhood they want to commit to long term tend to steer clear of buying, as will people who hate to be tied down. “Some people want to stay flexible and have the ability to move at any time without a heavy upfront investment,” she says. How long does one live in a starter apartment? Until they grow out of it, which in Korankyi’s experience, is approximately 5-7 years. According to Manners, many people buy as soon as they can afford to—even if they’re not sure how long they might stay. Some folks also plan to hang onto their starter units as investment properties after living in them for a few years. This is usually easier to accomplish in condos, but it can be done in co-ops, as well. 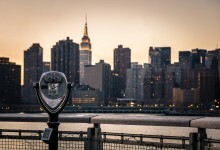 If looking to get the most bang for your buck, Manners suggests checking out areas like Turtle Bay, Murray Hill, Kips Bay, Clinton, Hell’s Kitchen, Morningside Heights, and the Upper East Side (closer to the East River). For folks willing to brave a longer commute, she also likes Astoria. Sacks adds that you’re more likely to find a starter apartment the further you go from transportation, like the East Village/Alphabet City, or Yorkville on the Upper East Side. “Uptown neighborhoods like Inwood or East Harlem—where your dollar goes further—are also good bets,” he says. What types of buildings should you look in? “Co-ops make up about 70 percent of the inventory you can purchase in NYC, naturally making them the more affordable option,” Sacks says. Walk-ups can also be a good option. An apartment in a walk-up building will cost 10 to 15 percent less than an elevator building, Korankyi says, so if budget’s a real issue, that’s definitely something to keep in mind. She does, however, caution that many people are put off by the stairs, so you may shrink your pool of interested buyers and renters in the future. 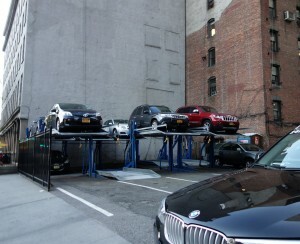 Buildings that lack lots of amenities are another possibility. When thinking of amenities, it is important to decide whether something is absolutely necessary for you to function or not, because they often come with extra charges, Korankyi says. So if you don’t absolutely need the gym or the roof deck or the pet spa, steer clear. Self-managed condos could be a good option for some. They’re more affordable since no management company means one less expense. But Manners says that she never advises starters to buy in self-managed condos since they “really best serve more experienced New York City property owners.” You’ll have to be prepared to be more hands-on if you’re going to live in such a building. Should you look at fixer-uppers? Stay far away, Manners says. Even if you’re getting a great deal on the price. “Fixer-uppers will be uninhabitable until renovation is completed, which may be quite lengthy, and one can never be certain of time or cost,” she says. Do people typically make a profit when selling? Making a profit on the home is contingent upon a number of factors, including how long they hold the apartment for, what kind of market we’re in when it comes time to sell, and what kinds of upgrades were made to the unit. If you want to make your money back, Sacks advises spending no more than 10 percent of the purchase price on renovations. 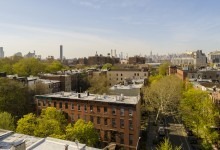 Priced at $595,000, this 615-square-foot, one-bedroom, one-bath co-op (also pictured at top) has a renovated kitchen, new windows, through-wall air-conditioners, and hardwood floors. It’s in an elevator building with a full-time doormen, bike room, central laundry room, and storage room. The building allows co-purchases, parents purchasing for their children, and pieds-à-terre. Sublets are allowed after two years, and 75 percent financing is allowed. Maintenance is $1,570 a month. 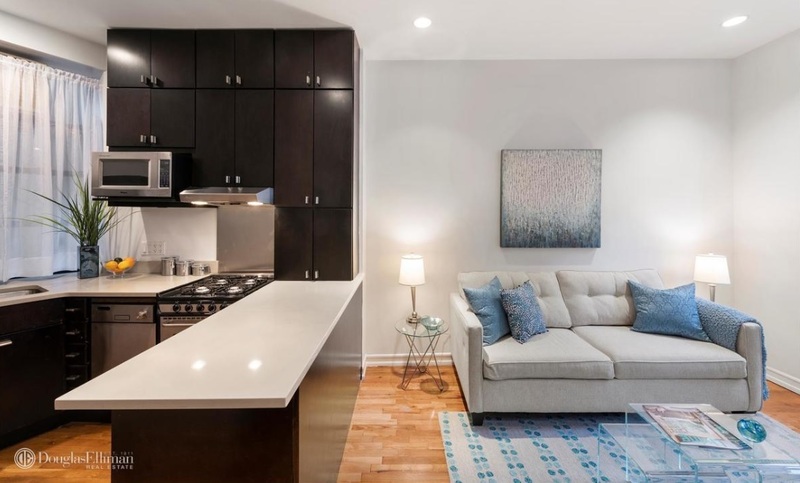 Listed for $395,000, this loft-like studio has recently been renovated, and has high ceilings, and an open kitchen with custom cabinets, stainless steel appliances, and a dishwasher. It’s in a six-story co-op building that allows co-purchasing, gifting, and subletting (with board approval). Maintenance is $667 a month. 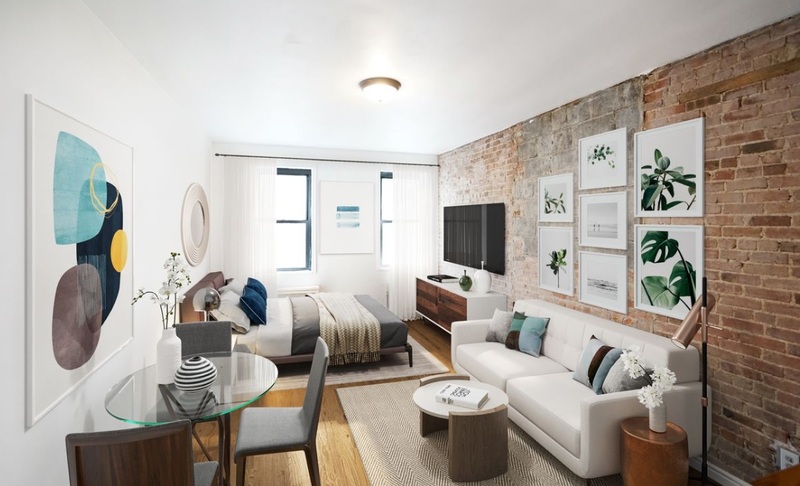 Features of this sunny studio unit include exposed brick walls, an open wood-top breakfast bar in the kitchen, hardwood floors, three closets, and through-wall air conditioning. It’s listed for $299,000, and is in a co-op building that allows co-purchasing, subletting, and pieds-à-terre. Maintenance is $775 a month. No guarantors and no pets allowed. 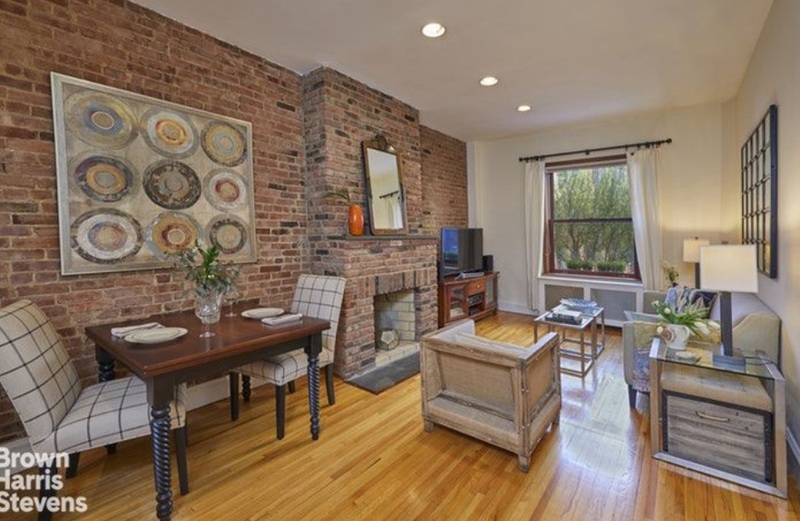 This $569,000 one-bedroom, one-bath has 10-foot ceilings, exposed brick, over-sized wood-framed windows, a 20-foot-long living and dining room, original blonde oak hardwood floors, a decorative fireplace, and a renovated kitchen with new stainless steel appliances. It’s located in a turn-of-the-century townhouse that was home to jazz legend Miles Davis for many years. It has a laundry room for shareholders and available storage (at no extra cost). Maintenance is $1,093 a month. Dogs and pieds-à-terre are not permitted. 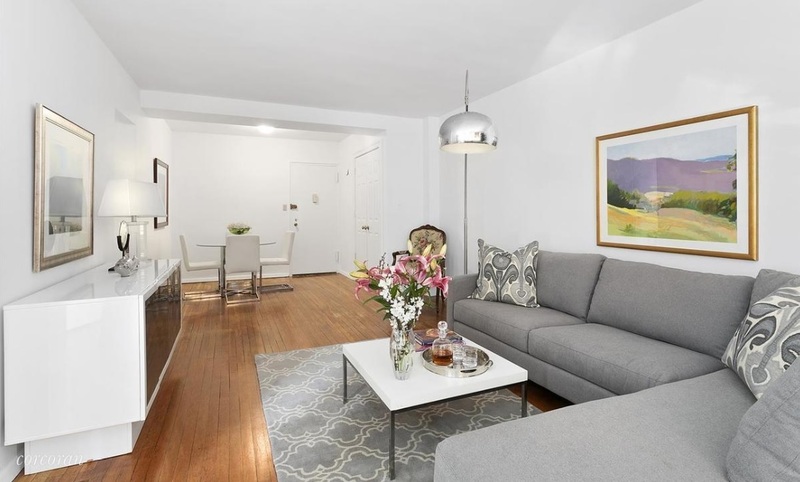 Priced at $299,000, this 550-square-foot, ground-floor one bedroom, one bath has large windows, hardwood floors, and a private entrance located on Convent Avenue. It’s in the Paul Revere, a co-op building that allows subletting (with co-op approval), pieds-à-terre, and parents buying for their children. Pets are allowed. Maintenance is $586 a month.